Most people’s knowledge of traditional Hindu weddings only extends as far as the garlands, the jewellery and henna tattoos. However those who have been lucky enough to be invited to one know that there is far more meaning and depth to a Hindu wedding than just the colourful festivities. As unique and intricate as Hindu weddings are, what they share with many cultures across the world is that the true focus of a wedding is the bringing together of two families as well as a spiritual commitment, dedication and devotion between two people. In the past, Hindu marriages, like with many African cultures, were almost always arranged. When parents felt that their son or daughter had reached marriageable age, they would begin looking for a suitable match. Family and elders would be consulted and, together, they would begin to search for a prospective match in the community. News of their search would spread through word of mouth. Once a prospective match had been found, an astrological chart for both the prospective bride and groom would be drawn up based on the movements of planets and the stars at their birth. Only if an astrological match had been made would there be further talks to negotiate a marriage. The couple would then be given anything from a few minutes to an hour to get to know each other. When both sets of parents and the couple were in agreement, an auspicious time would be chosen for the wedding to take place. The wedding ceremony continues for several days and is filled with unique, age-old rituals that make the event both visually appealing and spiritual. Because of its extravagance, most wedding ceremonies were, and still are, expensive affairs, the cost of which typically falls on the parents of the bride. It was not uncommon for middle or upper class weddings to have a guest list that reached up to 500 guests, complete with live instrumental music. Despite their complexity, many of the customs and rituals are still very closely observed by many modern Hindu couples. Wedding rites typically begin days before the main wedding ceremony. Different ceremonies are conducted separately at the homes of both the bride and the groom. Prayers, songs, and rituals are used to show the couple’s worship to the divine. The pre-wedding celebrations are mainly a sangeet, which is an entertainment night where family and friends eat, drink and dance the night away. There is also a sagri, which is comparable to a bachelorette, in that it is a female celebration the night before the ceremony. A party is held, during which the groom’s sisters and female relatives adorn the bride with flowers and ‘dress her up’, this is done to build a loving relationship between the bride and her new family. The ceremony of mehndi (henna) would also typically take place at the bride’s home. Her hands, arms, feet and legs are decorated in beautiful and intricate patterns. The henna is applied as a dark green paste which is then allowed to dry and is then scraped off, leaving behind a dark red colour. It’s believed that the darker a bride’s henna, the more her mother-in-law loves her. The ceremony is also a chance for the bride’s married friends to share with her their marital advice.On the day of the wedding, there is the service of vara satkaarah, which is the reception of the groom, his family and friends by the bride’s family and friends. The ritual is presided over by a priest who blesses the couple. The bride greets the groom and puts a garland around his neck.The groom reciprocates in kind. The bride offers the groom yogurt and honey, which are symbolic of purity and sweetness. The couple is then congratulated by their guests. The bridegroom’s reception is held at the entrance gate of the wedding venue where the officiating priest chants mantras and the bride’s mother blesses the groom. 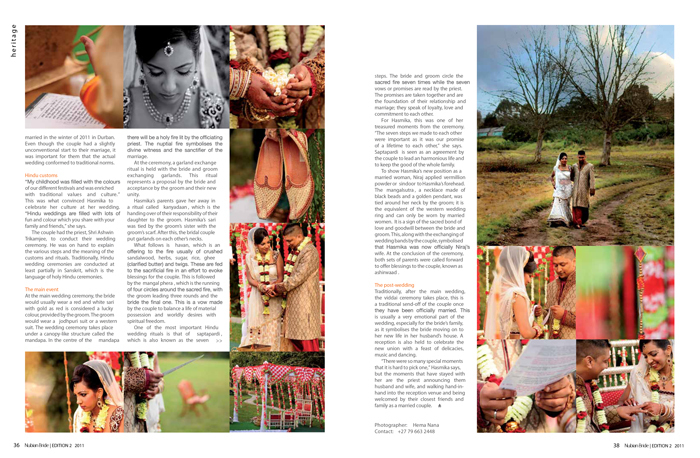 Johannesburg couple, Hasmika Mitha and Niraj Jugath have first-hand experience of a Hindu wedding. Like most modern Hindu couples, their marriage was not arranged. The groom, Niraj, proposed on the couple’s fourth year anniversary. He proposed during an ocean walker experience at uShaka Marine World. “I saw Niraj on his knee, with his shirt up with the words ‘Will You Marry Me written on his tummy”. 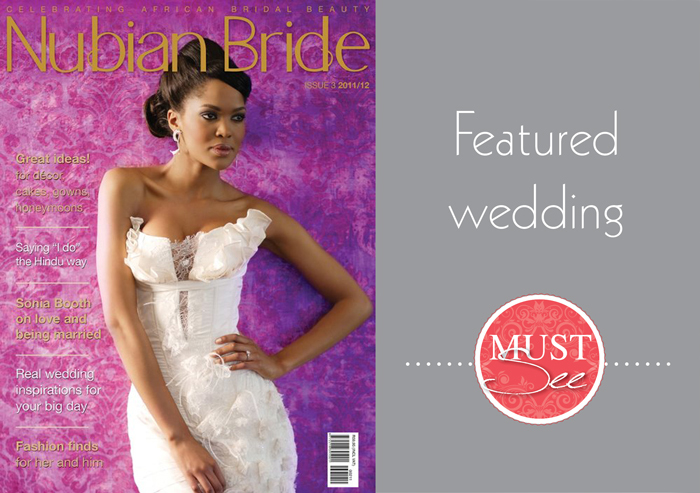 The couple got married in the winter of 2011 in Durban. Even though the couple had a slightly unconventional start to their marriage, it was important for them that the actual wedding conformed to traditional norms. “My childhood was filled with the colours of our different festivals and was enriched with traditional values and culture.” This was what convinced Hasmika to celebrate her culture at her wedding. 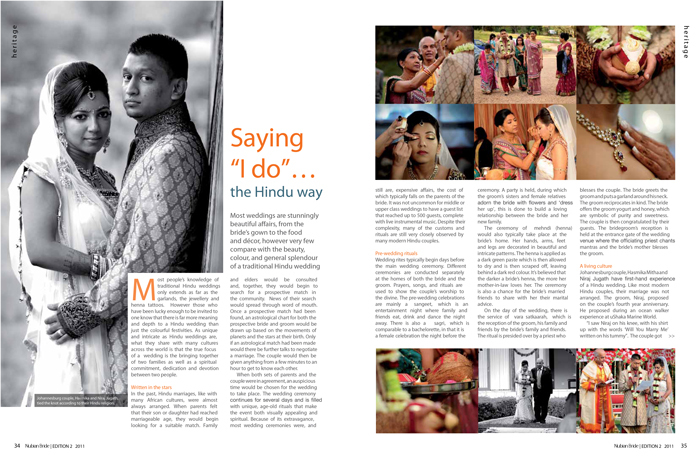 “Hindu weddings are filled with lots of fun and colour which you share with your family and friends,” she says. The couple had the priest, Shri Ashwin Trikamjee, to conduct their wedding ceremony. He was on hand to explain the various steps and the meaning of the customs and rituals. Traditionally, Hindu wedding ceremonies are conducted at least partially in Sanskrit, which is the language of holy Hindu ceremonies. At the main wedding ceremony, the bride would usually wear a red and white sari with gold as red is considered a lucky colour, provided by the groom. The groom would wear a jodhpuri suit or a western suit. The wedding ceremony takes place under a canopy-like structure called the mandap. In the centre of the mandap there will be a holy fire lit by the officiating priest. The nuptial fire symbolises the divine witness and the sanctifier of the marriage. At the ceremony, a garland exchange ritual is held with the bride and groom exchanging garlands. This ritual represents a proposal by the bride and acceptance by the groom and their new unity. Hasmika’s parents gave her away in a ritual called kanyadaan, which is the handing over of their responsibility of their daughter to the groom. Hasmika’s sari was tied by the groom’s sister with the groom’s scarf. After this, the bridal couple put garlands on each other’s necks. What follows is havan, which is an offering to the fire usually of crushed sandalwood, herbs, sugar, rice, ghee (clarified butter) and twigs. These are fed to the sacrificial fire in an effort to evoke blessings for the couple. This is followed by the mangal phera, which is the running of four circles around the sacred fire, with the groom leading three rounds and the bride the final one. This is a vow made by the couple to balance a life of material possession and worldly desires with spiritual freedom. One of the most important Hindu wedding rituals is that of saptapardi, which is also known as the seven steps. The bride and groom circle the sacred fire seven times while the seven vows or promises are read by the priest. The promises are taken together and are the foundation of their relationship and marriage; they speak of loyalty, love and commitment to each other. For Hasmika, this was one of her treasured moments from the ceremony. “The seven steps we made to each other were important as it was our promise of a lifetime to each other,” she says. Saptapardi is seen as an agreement by the couple to lead an harmonious life and to keep the good of the whole family. To show Hasmika’s new position as a married woman, Niraj applied vermillion powder or sindoor to Hasmika’s forehead. The mangalsutra, a necklace made of black beads and a golden pendant, was tied around her neck by the groom; it is the equivalent of the western wedding ring and can only be worn by married women. 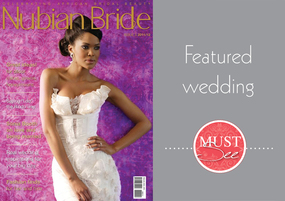 It is a sign of the sacred bond of love and goodwill between the bride and groom. This, along with the exchanging of wedding bands by the couple, symbolised that Hasmika was now officially Niraj’s wife. At the conclusion of the ceremony, both sets of parents were called forward to offer blessings to the couple, known as ashirwaad. Traditionally, after the main wedding, the viddai ceremony takes place, this is a traditional send-off of the couple once they have been officially married. This is usually a very emotional part of the wedding, especially for the bride’s family, as it symbolises the bride moving on to her new life in her husband’s house. A reception is also held to celebrate the new union with a feast of delicacies, music and dancing. “There were so many special moments that it is hard to pick one,” Hasmika says, but the moments that have stayed with her are the priest announcing them husband and wife, and walking hand-inhand into the reception venue and being welcomed by their closest friends and family as a married couple.